My niece and nephew just arrived at our house, fresh from "cousin camp" in NYC. All cousins 12 and older were eligible to see the sites with my sister's sister-in-law as their tour guide. 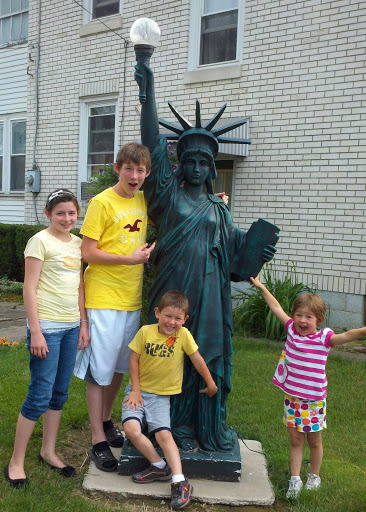 They saw Wicked, went to the temple, and visited the Statue of Liberty. 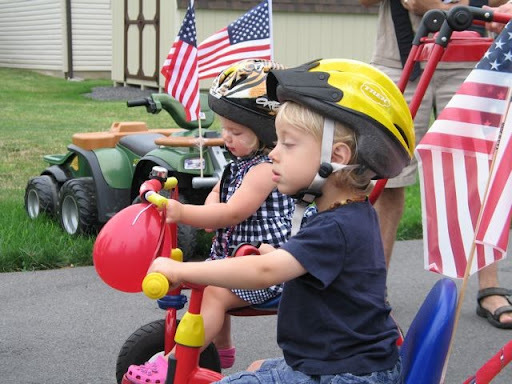 For anyone local, our neighborhood 4th of July Parade & Flag ceremony is just two weeks away! 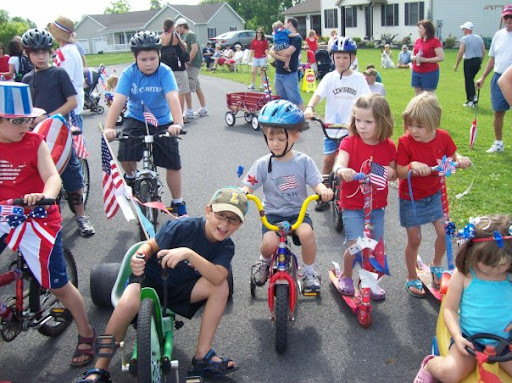 Please come with your bikes, wagons, scooters, and/or pets decked out in red, white, and blue, on Monday, July 4th at 10am. Come early if you'd like to decorate your stuff here at our place or just come with a lawn chair and cheer the kids on! As usual, the parade will be followed by a brief flag ceremony and popsicles. Here are some of my favorite photos from parades past. 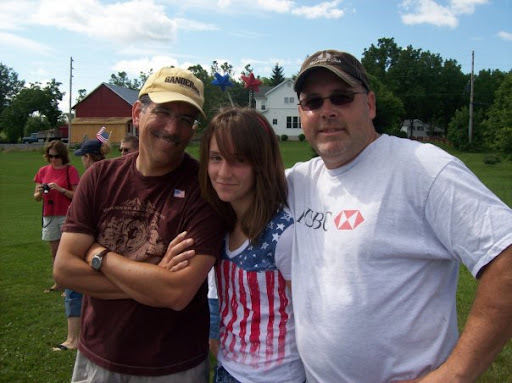 Ok, maybe I have too many favorite pictures...I love my neighbors and I love the 4th of July! 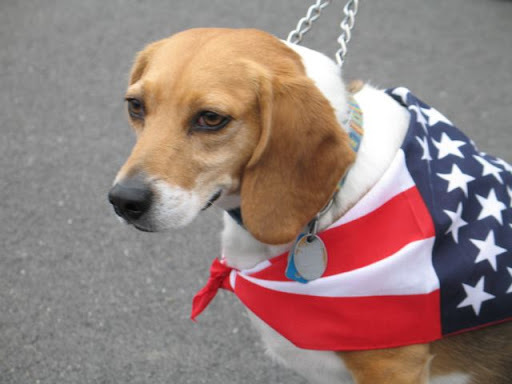 If you would like some pointers on hosting your own neighborhood parade, I wrote a post telling you how at Or So She Says. Those pictures are great. I'm so excited for the upcoming holiday! Our city parade runs just three blocks from our house, but it might be fun to do something in the neighborhood that the kids could be in...Thanks for the ideas! What a great 4th of July tradition! Here in Utah we always have a 24th of July Primary parade...very much like what you describe for the 4th there. It brings back lots of memories from when I was a kid---especially the day my mom decided we would ride our horse. She picked it up and as she was getting him out of the horse trailer, he slipped or something and kind of fell out. My husband is in the military so we are a bit patriotic here! We love the 4th of July, the 24th and our country! What an awesome way to celebrate the 4th of July. The pictures are priceless.